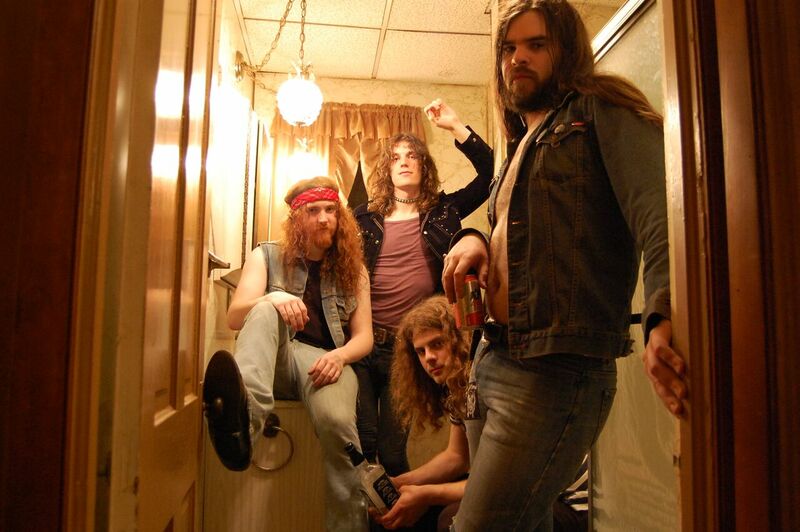 Upon recovering from being steamrolled over by the onslaught of Satan’s Satyrs’ new album, The Lucky Ones you’ll likely wonder just what exactly it was that hit you. 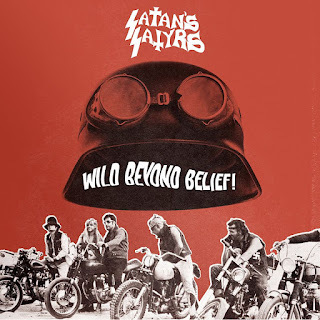 A punky, sleaze rock groove (perhaps even a whiff of 70s glam) meets NWOBHM melodicfury, Blue Cheer mass and volume, and Ozzy’s dramatic charisma condensed into a sound all its own, perhaps. 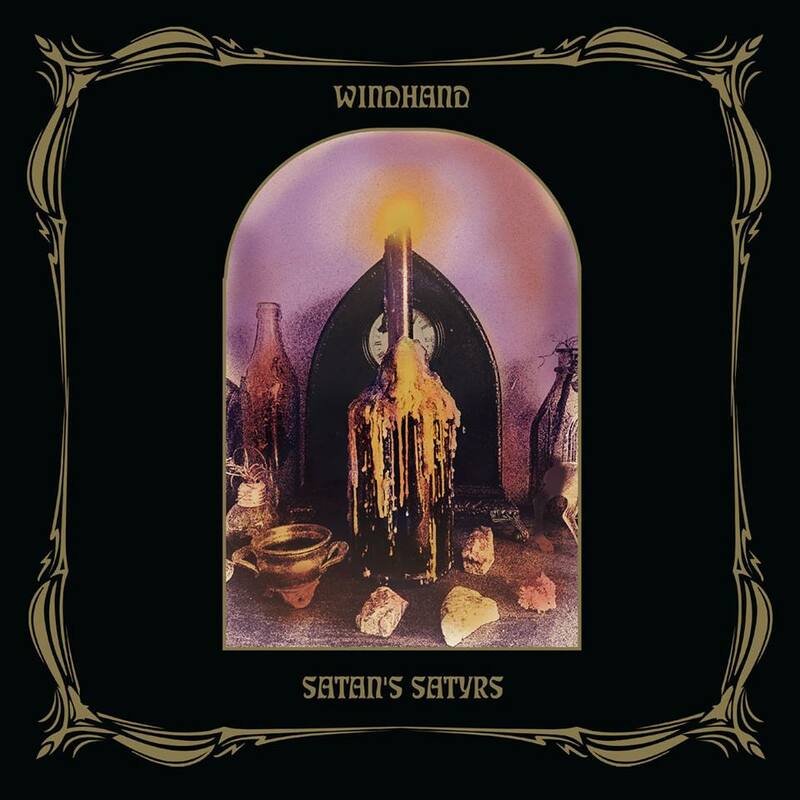 At its core is an unstoppable, unpretentious exorcism of rock’n’roll exuberance. Growing up, my dad was always playing stuff like the Beatles, the Stones, Eric Clapton and blues music, so hearing that was my earliest experience with music that I can remember. Also, he’d always be leaving his guitars around the house and I’d be picking them up and pretending to play from an early age. I’ve known Jarrett since we were both in high school. We met Nate a few years ago when we were doing concerts in the midwest. But in the very beginning when the band first started it was just myself and my friend Nick playing guitar. We met in school, both of us being pot smokers into Black Sabbath, Black Flag and Electric Wizard. 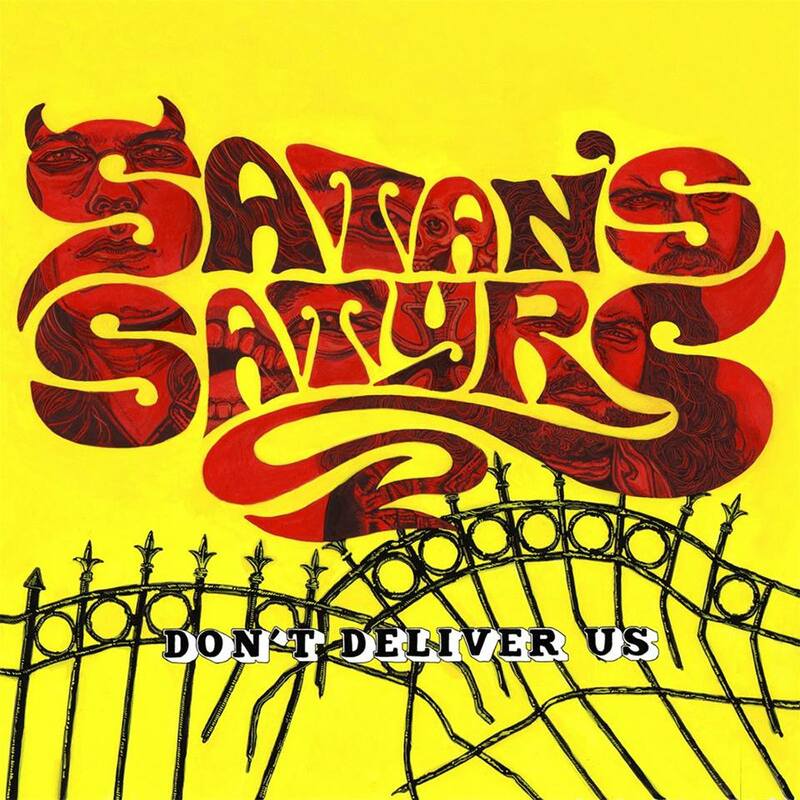 What does the name “Satan’s Satyrs” refer to in the context of the band name? 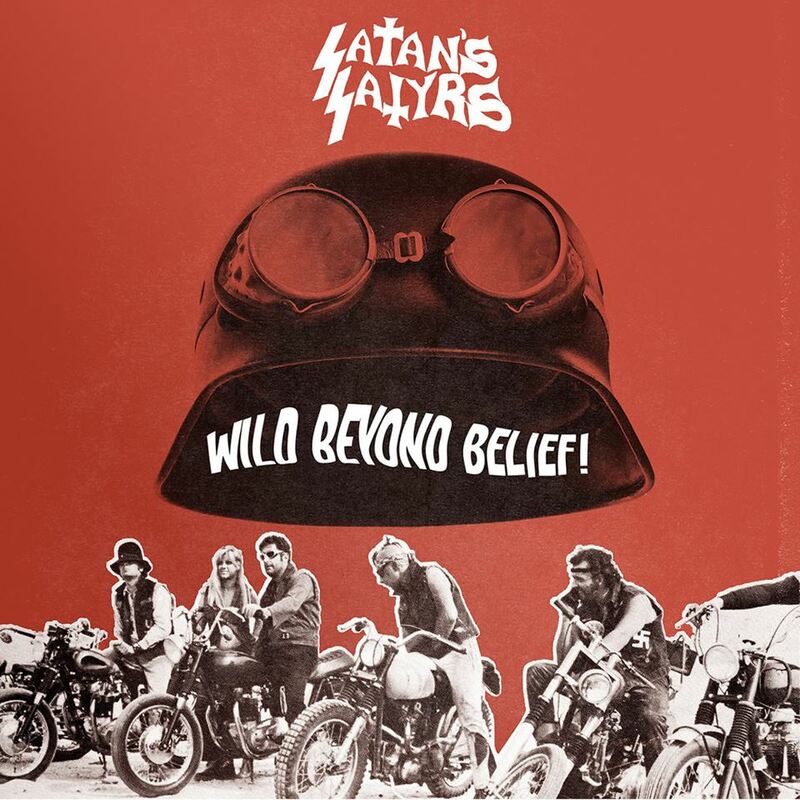 The name is a play on the title of the biker film “Satan’s Sadists.” I came up with it. I suppose I was picturing a biker gang made up of half-goat/half-man creatures. Go figure! Can you share some further details how your latest album The Lucky Ones was recorded and released? We recorded The Lucky Ones with Garrett Morris of Windhand at his studio in Richmond, Virginia. It was great working with Garrett because he gave us as much time as we needed to finish the album. There was a lot of time for me to try out new things production wise and we even finished writing some of the songs in the studio, which we haven’t really done before. It gave us the chance to realize and refine our new sound as a four piece band. Your sound changed quite a bit. Your first album sounds completely different than anything else. Would you like to share how was Wild Beyond Belief! recorded and released? I recorded Wild Beyond Belief! in my parent’s basement when I was 17 years old. At that point there wasn’t anyone else in the band, so I played all the instruments on that album. I was using a very simple set up to record, just an 8-track portastudio thing with two mics. At that age I really didn’t have a clue about how to mix or record so that’s why the album sounds so blown out. I just recorded everything in the red and cranked the bass. What would you say influenced you the most to record this album? The drive to avoid creative stagnation and produce work that has its own voice in an age of copycats copying copycats. We’re not reinventing the wheel, but if we can rearrange the puzzle pieces of rock music and make our own unique picture then I’ll be content. There’s a really cool footage from 2012. You’re playing Blue Cheer Halloween Set. We played a set of all Blue Cheer covers for show in Washington D.C. to celebrate Halloween in 2012. We were and still are major Blue Cheer fans so it was our humble tribute to one of the all-time greats. We played another Blue Cheer set at the Roadburn festival in 2013 as well. We had a great time doing it. You learn a lot about yourself as a musician when you play an entire set of someone else’s music. I’d love to do it again someday. What kind of equipment did you use to record the album? Garrett has a pretty simple set-up in his studio. We recorded onto a 16-track tape machine and mixed it on an analog desk. We tried to capture the sound of the band playing altogether, so most of the rhythm tracks were recorded live. Working with a simple analog set up like that restricts what sort of studio tricks you can do and puts the focus more on getting a good sound out of the band. The record’s got a nice, clear sound, but it’s not overproduced. It’s an honest sound. Who is behind the album’s artwork? Dilek Baykara did the illustrations and I laid it out and added the garish colors. 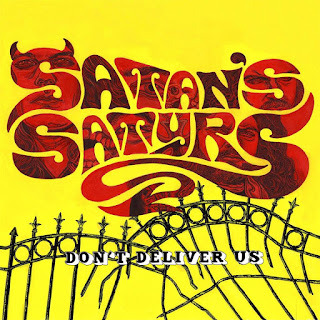 She also did the artwork for our Don’t Deliver Us album. The two that come to mind immediately are Electric Wizard and Pentagram. I absolutely worshiped those bands growing up so sharing the stage multiples time with each of them was a major personal achievement for me. We love to write songs and play live, so more concerts and records are always in our future. We’re currently working on a special kind of record. It will be a first of its kind for us. Clayton, how about Electric Wizard? I played with Electric Wizard for about 4 years, but I stepped away from them earlier this year to concentrate on Satan’s Satyrs. It was fantastic to be a part of that band. I learned a lot from my time with them and had the privilege of playing bass on their last album. I still have the utmost respect for them, but I needed to concentrate on my own creative pursuits with Satyrs. Let’s end this interview with some of your favourite albums and films. Have you found something new lately you would like to recommend to our readers? Thanks you. The Lucky Ones is out now on Bad Omen Records in the UK and Europe and on Riding Easy Records in America.